» Do Squirrels Carry Rabies? The belief that squirrels carry rabies is widespread and many people worry about their encounters with the little creatures. Urban legends tell horrifying stories of crazy squirrels leaping on innocent bystanders and… you can imagine the rest. Rabies is a serious condition and it’s really bad to have so much misunderstanding about it. 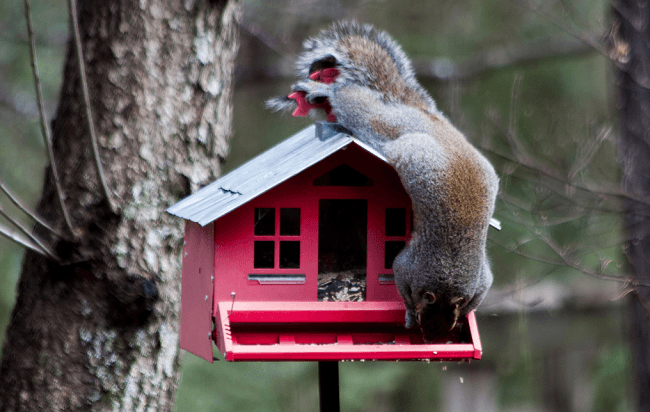 The short answer to the question whether squirrels carry rabies is “no.” Now, let’s get into a more detailed discussion and examine the reasons for the answer. Squirrels and Rabies: What’s Their Status? It’s very, very, very rare for squirrels to carry rabies. Even if a squirrel happens to be infected, the risk to humans is negligible. This is the main reason why individuals bitten by a squirrel aren’t supposed to have a rabies shot in the emergency room. Usually, doctors check the bite to make 100 percent certain that a squirrel wasn’t infected. Thus, seeing a medical professional immediately after getting bitten is very important. Most often, the doctor will simply clean the wound to reduce the risk of bacteria spreading. 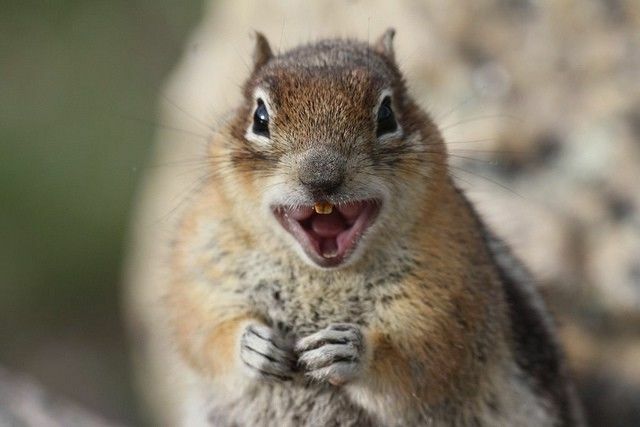 In general, squirrels aren’t aggressive creatures and a very small number of individuals suffer from squirrel bites. A squirrel is only likely to get aggressive if it feels threatened. Most of the individuals that were bitten had a squirrel cornered, they tried to pick it up with their bare hands or they hand-fed the furry creature. Why are Squirrels Generally Rabies-Free? There are several reasons why rabies isn’t a major issue in the squirrel population. For a start, squirrels will have to be bitten by an animal that’s already a rabies carrier to get infected. Most rabies carriers in nature are squirrel enemies. These predators tend to chase and kill squirrels, which brings the risk of an infection down to a minimum. There’s one more important thing to keep in mind. Squirrels are very fast and crafty. Even if they’re chased by a predator, the risk of getting bitten or wounded is almost non-existent. Thus, very few squirrels could potentially be infected with rabies. We’ve already established that the rabies risk for humans bitten by squirrels is minimal but how about pets? When cornered, squirrels are likely to bite and try to claw their way out. Thus, a cat or a dog may easily get bitten by a squirrel. In such instances, it’s very important to visit the veterinary clinic immediately. A vet will know how to treat the wound and which types of infections to check for. The vet will typically perform an exam for rabies infection. They will also contact local wildlife safety professionals to get information about a possible rabies infestation. If everything’s ok and the squirrel wasn’t infected, the wound will simply be dressed and you’ll be free to go. Rabies is a serious disease that affects the central nervous system. It’s a viral disease that can be transmitted from animals to other animals and from animals to humans. There’s no cure for rabies when symptoms develop. If the person or animal didn’t get a rabies shot, the outcome will most probably be lethal. Different kinds of animals have their unique rabies risk. High risk rabies species include foxes, bats, raccoons, skunks and groundhogs. This is the main reason why vaccination campaigns are carried out to reduce the likelihood of a rabies infestation among the species. Among domestic animals, cats, dogs and cattle are most often affected by rabies in the US. Preventative vaccination is one of the best ways to reduce the likelihood. The low to no risk rabies species include rats, squirrels, mice, hamsters, guinea pigs, rabbits, chipmunks and gerbils. Thus, a human or a pet bitten by one of those will almost never trigger a rabies protocol that involves shots. Remember that getting bitten is the most common way to get rabies. Scratches (for example by the squirrel’s claws), petting an animal or coming in contact with animal increments don’t pose risks. If you ever get bitten by a squirrel or another wild animal, you should maintain your composure and go see a doctor. The risk is minimal and squirrel bite wounds will almost never get infected. Still, it’s better to be on the safe side.